We will not share or trade online information that you provide us. No Spam, Just Results! All personal information is encrypted and secure. We go the extra mile to back our entire website with SSL and McAfee Internet Security - used by some of the biggest brands in the world, we have a 100% safety record. This agreement is in effect as of August 1st, 2016. By visiting our website, accessing and/or purchasing the information, resources, services, products, plans and tools we provide for you, either directly or indirectly (hereafter referred to as ‘Resources’), you agree to use these Resources only for the purposes intended as permitted by (a) the terms of this User Agreement, and (b) applicable laws, regulations and generally accepted online practices or guidelines. Iiii. Impersonates any person or entity, including any rudymawer.com, www.rudymawer.com, rudymawerplans.com & rudymawerbilling.com employees or representatives. You agree to indemnify and hold harmless Rudy Mawer Consulting LLC. and its parent company and affiliates, and their directors, officers, managers, employees, donors, agents, and licensors, from and against all losses, expenses, damages and costs, including reasonable attorneys’ fees, resulting from any violation of this User Agreement or the failure to fulfill any obligations relating to your account incurred by you or any other person using your account. We reserve the right to take over the exclusive defense of any claim for which we are entitled to indemnification under this User Agreement. In such event, you shall provide us with such cooperation as is reasonably requested by us. Rudy Mawer Consulting LLC. does not knowingly collect, either online or offline, personal information from persons under the age of thirteen. If you are under 18, you may use https://www.rudymawer.com only with permission of a parent or guardian. Plans are not recommended or intended for children or teenagers, and should only be used under the recommendation and supervision of a physician. You agree to pay, and authorize Rudy Mawer Consulting LLC.’s third party payment processor to charge using your selected payment method and payment plan, for all applicable fees and taxes that may accrue in relation to your payment plan to use our Services or purchase our products. All fees are in US Dollars and are non-refundable except as required by law. Rudy Mawer Consulting LLC. is not responsible for charges, bank fees, or foreign exchange rates applied by your Credit Card Company and/or financial institution. You are responsible for providing complete and accurate billing and contact information to us. We may suspend or terminate the Services if fees are 30 days past due. A reference transaction is a financial transaction from which subsequent transactions can be derived. PayPal Reference Transactions & Stripe Authorizations are used to make to make subsequent transactions to offer you additional offers at checkout. These offers are optional and you will be provided the option to opt-out of any after purchase offers by clicking the “No Thanks, I won’t see this offer again and I am not interested” option. After adding your payment information at checkout, you agree to allow our payment processor to store an authorization for additional payments as needed. This may include after purchase one-time offers, which you authorize us to charge using your selected payment method upon your acceptance of any additional offers. 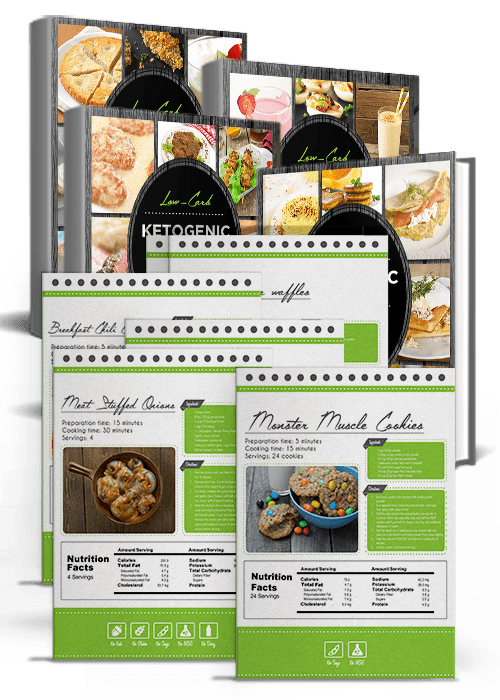 Please note for all refunds on all digital programs (excluding Macro Cookbook, for which sales are final), such as the 20 Week Mass and the 90 Day Bikini program, you must complete the entire program and can only request the refund after this time (i.e. 20 weeks, 30 Days or 90 days). Refunds are not given because you changed your mind, found the plan unsuitable, did not have access to the required equipment (after all, there are body-weight workouts and you could have contacted us before hand), found the plan confusing, had a technical issue or did not like the plan in general. In other words, refunds are given if you complete the full program and do not reach realistic goals. These terms are without exception and a refund request outside of these requirements will not be processed. In order to process your refund if you complete the plan, you must have timely submitted all check in forms and measurements (1) before you start the plan and then (2) on a bi-weekly basis for the length of the program (time frames listed below). These check-ins must include starting photos, measurements of the waist, arm and leg, along with your weight. This is required to help prove that you completed the program in accordance with its respective terms. You will be required to spend time reading the manuals and formulating your plan, it does require some personalization and time commitment. For the home workouts, it can be performed with just bodyweight but we do program and advise equipment such as TRX, Barbells, Dumbbells, Medicine Balls, Kettlebells etc. This refund policy is the standard terms for online, digital products. Unlike physical products, once you have purchased this product you will have instant access to the files and can not return them. Please note this program was developed after years of research and practice, along with over $100,000 in educational fees. Please do not contact us for a refund if you have not tried the program for the full time listed above and have check-ins sent to us at the very start and then 2 weeks later for each period we will not process the refund. These check-ins must include starting photos, measurements of the waist, arm and leg, along with your weight. All refund requests can be submitted on this page. Please note, refunds that do not conform to all the terms listed above will not be processed. For the Physique Friendly Macro Cookbook, no refunds are accepted for whatever reason. This is because of the low product cost and the fact that it is a digital product that can be downloaded in full. Unlike physical products you must return, it is not possible to return a downloadable product, even if you state you have not yet downloaded it. This no refund policy extends for any reason, including you not enjoying the meals or liking the food, as this is a subjective measure. All meals were tested multiple times before publication. Please note, the recipes will require some preparation and unusual ingredients, this is just the nature of cooking, especially this type of preparation and cooking which requires additional ingredients that you may need to order online. For this reason, we have included a swap / ingredient replacement list to help. Please note, all images and pictures are for design and cosmetic purposes only, these are stock photos as I do not have professional equipment to take good quality photos of each recipe. No refunds are permitted for 1:1 Elite Online coaching or the 1 time personalized plan after the purchase has been made, even if you are yet to complete the consultation. This is a strict policy as we have a limited number of spots and are often full. Therefore, please only purchase if you are 100% committed. All Testimonials found on RudyMawer.com and it’s affiliate sites represent the factual viewpoints of those who submitted them. Testimonialists were in no way coerced or encouraged to leave reviews that do not reflect their actual experiences. In some cases Testimonials whether positive or negative may have been submitted in return for promotional materials. Some testimonials posted here represent subjective information based on the perception and life experience of those who submitted the testimonial. We at RudyMawer.com in no way endorse these opinions as fact and encourage you to come up with your own opinion of our products as a direct result of your experiences and not those of another. If you believe that any of the information presented in testimonials found on this site to be false, please bring it to our attention. We strive to present you with the best and most accurate information possible and appreciate your help ensuring that it stays that way. The experiences of others found on RudyMawer.com and its affiliate sites in no way reflect a guarantee of results. These testimonials represent individuals success but are in no way an example of the expected result for all individuals. The products found on RudyMawer.com and its affiliate sites are backed by science and most users will find improvement if our programs are followed with due diligence. If you have any questions about the scientific basis of any of our products feel free to reach out and we will work to the best of our ability to provide the desired information. Not all customers will achieve the same results as those found in personal testimonials on RudyMawer.com, such testimonials are viewed as exceptional successes and not to be mistaken for typical results. Information provided to us by others which includes blog posts, before and afters, testimonials, etc, is in no way endorsed as fact or verified by RudyMawer.com or its affiliate sites. You are encouraged to take this kind of information at face value and understand that these statements often reflect exceptional results and in no way should be accepted as typical or expected results. Many articles on this Website contain links to third-party websites. The Company does not endorse the content on any third-party website that this Website may link to and has no control over and is not responsible for the content on affiliated or advertised sites. The Website DOES NOT PROVIDE MEDICAL ADVICE! The Website does not provide medical advice, treatment or diagnosis of any issue, illness or disease. All content and educational material provided on this site and associate sites of the Company for educational and example purposes only. You are fully responsible for doing your own research and determining what is your best course of action. Always seek approval and advice from a physician, medical doctor or other qualified health professional before embarking on a new exercise regime, diet, supplement or similar protocol. The Company may list diet and/or meal suggestions that have been prepared and approved by a third party dietitian. The Company does not assume any responsibility with respect to such diets. You must do your own research to determine if the diet is right for you, including seek approval and advice from a physician, medical doctor or other qualified health professional. Attempt to access another member’s account. Attempt to download content from the site through the use of any software, agent, or device (including spiders, robots, crawlers, data mining tools or the like) other than the material made explicitly available to you via download. vi) no information or advice, whether expressed, implied, oral or written, obtained by you from Rudy Mawer Consulting LLC. or through any Resources we provide shall create any warranty, guarantee, or conditions of any kind, except for those expressly outlined in this User Agreement. In conjunction with the Limitation of Warranties as explained above, you expressly understand and agree that any claim against us shall be limited to the amount you paid, if any, for use of products and/or services. Rudy Mawer Consulting LLC. will not be liable for any direct, indirect, incidental, consequential or exemplary loss or damages which may be incurred by you as a result of using our Resources, or as a result of any changes, data loss or corruption, cancellation, loss of access, or downtime to the full extent that applicable limitation of liability laws apply. All information stated on either the Personal Trainer Development Center and the RudyMawer.com is for informational purposes only and does not constitute medical advise. BY ACCESSING THIS SITE YOU HEREBY WAIVE RUDY MAWER CONSULTING LLC. OF ALL POSSIBLE LIABILITY AND WILL CONSULT YOUR PHYSICIAN OR OTHER HEALTH CARE PROVIDER FOR ALL MEDICAL, HEALTH, LIFESTYLE, AND NUTRITION ADVICE BEFORE ACTING ON ANY INFORMATION FOUND OR INTERPRETED FROM THIS WEBSITE. Rudy Mawer Consulting LLC. does not provide information intended to be used by Minors or individuals with conditions that might be altered by changes in exercise or nutrition. All content and materials available on rudymawer.com, www.rudymawer.com, rudymawerplans.com & rudymawerbilling.com , including but not limited to text, graphics, website name, code, images and logos are the intellectual property of Rudy Mawer Consulting LLC., and are protected by applicable copyright and trademark law. Any inappropriate use, including but not limited to the reproduction, distribution, display or transmission of any content on this site is strictly prohibited, unless specifically authorized by Rudy Mawer Consulting LLC..
All content included as part of the Service, such as text, graphics, logos, images, as well as the compilation thereof, and any software used on the Site, is the property ofRudy Mawer Consulting LLC. or its suppliers and protected by copyright and other laws that protect intellectual property and proprietary rights. You agree to observe and abide by all copyright and other proprietary notices, legends or other restrictions contained in any such content and will not make any changes thereto. You will not modify, publish, transmit, reverse engineer, participate in the transfer or sale, create derivative works, or in any way exploit any of the content, in whole or in part, found on the Site. Rudy Mawer Consulting LLC. content is not for resale. Your use of the Site does not entitle you to make any unauthorized use of any protected content, and in particular you will not delete or alter any proprietary rights or attribution notices in any content. You will use protected content solely for your personal use, and will make no other use of the content without the express written permission of Rudy Mawer Consulting LLC. and the copyright owner. You agree that you do not acquire any ownership rights in any protected content. We do not grant you any licenses, express or implied, to the intellectual property of Rudy Mawer Consulting LLC. or our licensors except as expressly authorized by these Terms. You agree that we may, at our sole discretion, suspend or terminate your access to all or part of our website and Resources with or without notice and for any reason, including, without limitation, breach of this User Agreement. Any suspected illegal, fraudulent or abusive activity may be grounds for terminating your relationship and may be referred to appropriate law enforcement authorities. Upon suspension or termination, your right to use the Resources we provide will immediately cease, and we reserve the right to remove or delete any information that you may have on file with us, including any account or login information. Any refunds issued will result in the revocation of your account access immediately and any files. This website is controlled by Rudy Mawer Consulting LLC. from our offices located in the state of Florida, US. It can be accessed by most countries around the world. As each country has laws that may differ from those of Florida, by accessing our website, you agree that the statutes and laws of Florida, without regard to the conflict of laws and the United Nations Convention on the International Sales of Goods, will apply to all matters relating to the use of this website and the purchase of any products or services through this site. Furthermore, any action to enforce this User Agreement shall be brought in the federal or state courts located in US, Florida You hereby agree to personal jurisdiction by such courts, and waive any jurisdictional, venue, or inconvenient forum objections to such courts. UNLESS OTHERWISE EXPRESSED, Rudy Mawer Consulting LLC. EXPRESSLY DISCLAIMS ALL WARRANTIES AND CONDITIONS OF ANY KIND, WHETHER EXPRESS OR IMPLIED, INCLUDING, BUT NOT LIMITED TO THE IMPLIED WARRANTIES AND CONDITIONS OF MERCHANTABILITY, FITNESS FOR A PARTICULAR PURPOSE AND NON-INFRINGEMENT. 100% Results Guaranteed For just $19 (instead of the usual $199) you can add my famous 90 day bikini plan giving you 90 days of workouts, exact meal plans, home workouts, hormone optimization and much more all tailored to YOU as an individual!